NEW Four Winds Class C ready to ride off out lot in Pensacola. Be sure to visit with our Motorhome Specialists to learn more about this NEW 2018 Thor Motor Coach Four Winds 24F model. 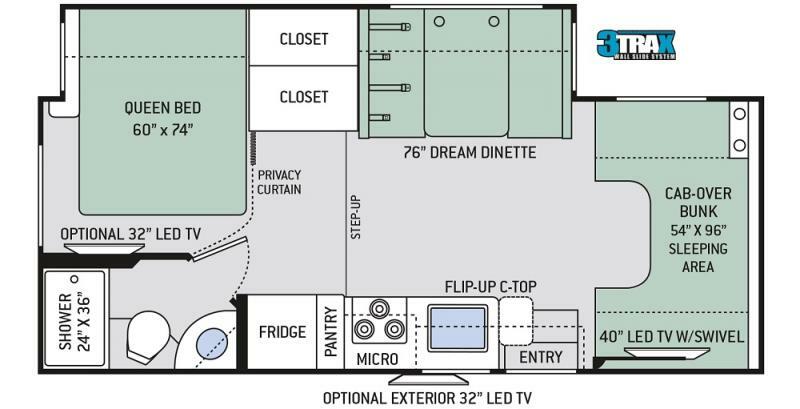 Fun Blue exterior and lovely interior that will promise all the comforts of home. 1 giant slide and a roomy cockpit for the driver. Trusty Ford engine and so much more. See this one today!